My name is Kimberlee Rutan McCafferty, I’m a former educator and presently a stay-at-home mom/therapist. I’ve recently had the good fortune to have several articles published in Exceptional Parent Magazine, including one which illustrates the immediate steps to take if your child is diagnosed with autism. 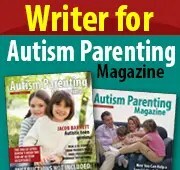 I have also been published in Autism Parenting Magazine. 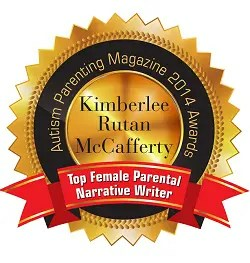 In 2014 I was honored as Autism Parenting Magazine’s top Female Parental Narrative Writer. My post, “The Talk,” was selected by Autism Speaks as one of the top ten most informative and inspirational blogs of 2013, and in 2014 my post about my son speaking for the first time was nominated as one of the top ten viral blogs of the year. My blog is featured on Patch, an online source for community-specific news. In 2012 I produced and directed my play “Raising Autism,” with all proceeds going directly to POAC Autism Services, a non-profit located in Brick, NJ. I’ve recently had the honor to be selected to participate in the Family Partners Program, a part of the Autism Treatment Network at CHOP (funded by Autism Speaks), and have been asked to participate on the parent advisory board for CNNH. In 2014 I had the honor of speaking at the kickoff for the Philadelphia walk for Autism Speaks. My essay on high-functioning autism was recently published in the textbook Asperger Syndrome: Risk Factors, Cognitive-Behavioral Characteristics and Management Strategies. I have also had the honor to be featured on the Mighty. I’ve recently had the opportunity to be interviewed by Kerry Magro, formerly of Autism Speaks, for his cable television show Different is Beautiful. My work has been published in the Daily Telegraph in Sydney Australia. When not promoting my memoir “Raising Autism: Surviving the Early Years,” I can be found on the couch with chocolate, a good book, and an even better glass of wine. Hi Kim! I am so glad that you have reach this stage in your adventure of writing your book and blogging. It is a riot. I am going to forward this to all my teacher friends, too. I will always remember those beginning stages when you found out that your fitst-born had autism. I am so glad that you will be able to help others in similar situations with your book. Hey Louise! Thanks for taking the time to respond to this (I think you’ll like the next one even better). It was lovely to hear from Bianca, how’s Peanut (or are we going by Sasha these days?). Write when you can and let me know how you are! I am a special education teacher and found your entries honest, funny and so real life. It was interesting to read your accounts of activities in your life. I appreciate your sense of humor and know that parents of autistic children will garner so much from these blogs. Margaret, thanks for responding, but more importantly, thanks for what you do. Justin has had some exemplary teachers, and they have made such a difference in his life. I was a “regular” education teacher for twelve years, and I was constantly in awe of the teachers who worked with special needs children all day, every day, with neverending enthusiasm. Thank you! P S- Happy Birthday Girl!! I’ll have a glass of pinot for u!!! Thanks Donna! So glad to hear from you! Tell Kev he’ll get brownies soon! Check out my next entry, you’ll enjoy it. Love and hi to everyone! Thanks for posting Billy! We can’t wait to see you again too, and miss you as well. Thanks for what you said about the boys, it means a lot! This was a beautiful article. I didn’t want it to end, and you have a way of drawing the reader into your life. you are an extraordinary writer. Thank you, truly, and thank you for taking the time to respond. I appreciate it! I work with your mom – we share many secrets and have many talks. She’s always spoken highly of Kim, her daughter, and I’d think “Naturally, you feel that way. You’re her mom.” But as we shared more and I listened better, I, too, feel that Susan has an awesome daughter. You’ve put your entire life on hold for your two sons for the daunting goal of raising them to get what they deserve. Bravo!!!!! Thank you Karen, I appreciate the commentary and your taking the time to reply! I was just told about your blog and book. My 6 year old son was just diagnosed with PDD-NOS, after almost 2 full school years of unsuccessful attempts at dealing with his behavior. I look forward to gaining some insight from your experiences. That’s heartbreaking. I hope he gets the help he deserves now. He’s still so young, I’m sure behaviorists will be able to help you. Hang in there, I hope the blog helps, and if you have questions, please ask! I think that what you’re doing is great, Kim. I work with Pam Holran on the Lafayette Alumni Council, and she asked me to check out your blog. I really hope your book gets published – I would read it in a second, and I know my mom would too. My brother is 12 and has Asperger’s Syndrome, and my mom has spent the last 10 years of his life trying to make things easier for him. I know how hard it can be, and I really admire the fact that on top of all of that work, you’re still finding time for this blog AND a book! Amanda, Pam has mentioned you to me, as well as your family’s obvious dedication to your brother. I give your mom a great deal of credit. I’m only six years in, it’s the people with children in the double digits who did this in a much more “unforgiving” time who have my admiration. I appreciate your taking the time to read and respond, please feel free to pass it on to anyone you think would be interested. Sounds like your brother is lucky to have you. Take care and thanks! Hi Kim…My name is Denise Coughlin and I was delighted with your little story about Dragons. I know how hard it is for a mom raising two special needs children. I have a sister who is brain damaged and understand the constant care children with special needs do require. It sounds like your sons have a very special mother. I would love to send your sons my book “Dragon In My Pocket” as a gift. I’ll pay the postage too. Your story really touched me. I hope it will bring you and your little ones much joy. They may not fully understand the story now, but someday they will truly appreciate it. My website is http://www.denisecoughlin.com You can e-mail me and I will be delighted to send you a copy for your special boys. Thanks Denise, sent you an email! Kim, Don’t have an email for you but wanted to post one of your blogs as a guest blog on my website. Would love to connect you with the organizers of AutismOne too. I am speaking there again this year. And please let me know if I can send you a complimentary copy of my book. One of my blogs is on Exceptional Parent website today. Hi Marcia, I responded to you by email, thanks for writing! Amanda, thank you so much! I feel the same way about you and your kids. I appreciate your taking the time to read and respond. Hope you and yours are well, and thanks again! blogs. I am just catching up on them. You all take care. Thanks Aunt Ruthie, looking forward to seeing you this fall! Hello Just discovered your blog, I am a mom of a wonderful 8 year old boy with Autism, I saw the word pinching in a comment you made to Susan Senator, I used to live in Brookline and met her there. Anyway have you found any suitable ways to reduced the pinching? 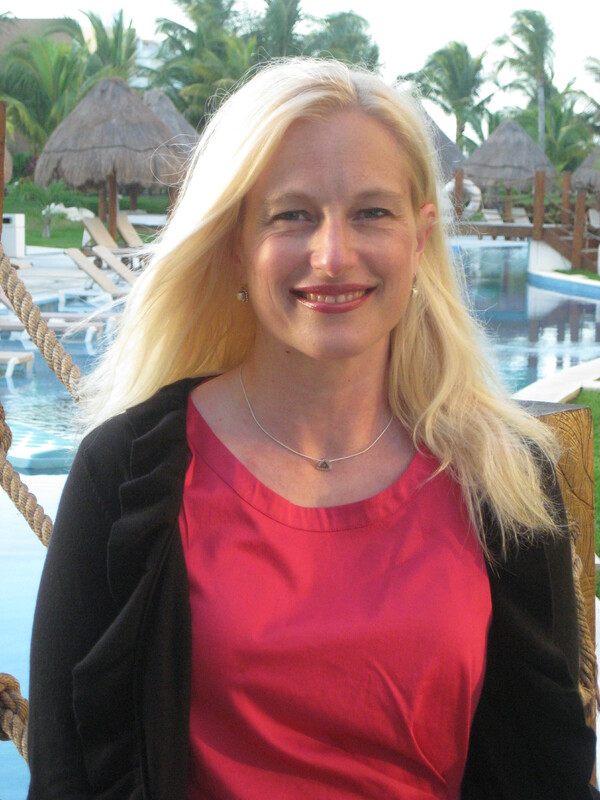 Welcome Catherine, and thanks! The most effective technique we used, and still do to this day (although his pinching incidences are few and far between) was to anticipate the pinch, block it by grabbing his hands, and saying harshly “no pinch”. In Justin that would usually elicit a kiss of “sorry” from him. Aggression was a huge component of his autism, and through ABA and discipline we ultimately reduced the pinching down to about 10% of the day, but it was still daunting as he grew older and bigger. We’ve had him on a fairly low dose of Risperidone since last year, and that seems to have eradicated the rest. It was a tough decision, but ultimately I think it was best for him and for our family. I wish you luck with your son or daughter. Thank you for posting! I stumbled across your blog from It’s A Shmitty Life, who is absolutely hilarious and a real lol. I must say that you are a wonderful writer, it is rare to actually be able to put your feelings in words, especially about a subject as difficult and complex as autism. My 6 year old son Gabriel has autism while his younger twin sisters (5) are neurologically normal although all of them are seriously high energy. I have been reading back in your blog to get caught up and I have really been struck by how similar the emotions are for me. Obviously our situations are different, I only have one child with autism and then there is that twin thing 18 months later that was a heck of a surprise. That was difficult in an entirely different way, not that I remember much, I laughingly say that if my hair had been on fire that first year I wouldn’t have noticed. Thank you for speaking to a part of me that doesn’t get much light of day. It is easier to use humor and silliness, which while I take my silliness very seriously, can overcast the real emotion that lies underneath. On a side note, my son used to pinch me relentlessly while he nursed and was hyper aggressive, flying tackle to his sisters that were just learning to walk etc. I don’t know how this works, I only know that it was true for my son, I cut eggs out of his diet and his aggression lessened immensely. Other moms in my MOMS Club couldn’t believe the change in his behavior after 2 weeks. So it wasn’t just me that saw that change. I have had a few other friends that were having behavioral issues that eggs seemed to have an impact on. Just sharing my strange experience, not trying to shovel well meaning advice your way. Hey, I’m a glutton for advice, I’ll take anything, thanks! He doesn’t eat them, apparently they are the devil’s food, so a no-go there. Appreciate the attempt! Loved your comment about the hair, I’m right there with you! Thanks for telling me where you found me. I will have to find that site. It’s been coming up as Spam and I’ve been ignoring it, glad to find out it’s legit! Thanks for your lovely commentary too, I appreciate it. Thank you for taking the time to write such a thoughtful post! I think what you are doing is great. I too am an educator ( I teach visual design at an inner city high school- I always have at least one IEP student per class) and I grew up with a special needs brother in addition to having a child on the spectrum. Alex is nearly 17 and was only diagnosed in June, so we have struggled and had so much damage done to him by well meaning educators and other “professionals”. He is extremely intelligent, but has a very poor working memory, and has a great deal of anger. He really struggles a lot and as a young man trying to discover what that means plus Asperger’s, and me being (as a single mom) the lone authority figure, he tends to reject my suggestions out of hand. I was wondering if you or your readers might be able to guide me. So many of the resources I am finding deal with younger children. Do you know of any sites or blogs that might be more relevant to our situation? I am looking specifically for things that can help me understand my son better ( I only recently found out that he hears florescent lights and that they bother him) and helpful sites that might give him insights as well. Also do you know of any resources to strength working memory? This is a huge problem for Alex. His IQ is very high and he tests at grade 28+, but his working memory maxed out at grade 7.5. This is really affecting his academic performance. Michelle, thank you for reading and commenting. I’ve found that resources for the younger set differ greatly from the older, and I’m really not familiar with those that might help your son. I will put out an email with your questions to some of my friends with older kids on the spectrum, as well as a few with Asperger’s who are younger. Not sure that will be helpful, but I’ll give it a try and get back to you if I hear anything. Thanks so much! Will check out your site! Avril, thank you. It means so much to me to know my article helped another mom. For the most part, I’ve always found the OCD/perseverative aspect of Justin’s autism to be the most daunting component. It truly is exhausting, but at least for him I’ve found it goes in cycles, and eventually, it lessons. I hope it is the same for your child as well. Hang in there, thank you for reading and responding to this, and know you are definitely not alone! It was so nice to meet you at the dinner for Search Friday night! It is always comforting to talk to other moms in the same boat! I love this blog-it is very funny, true, and similar to my own life! Hope to see you at Field Day this Friday, and if not there, some time in the near future! Lori, it was lovely to meet you too, and I’ll look for you at Field Day. Please keep in touch! Saw your link on facebook. I’m a former educator as well. I have three sons. One has Aspergers. I have Aspergers as well. Great friendly photo, and nice “about me” page. 🙂 Samantha Craft. Thanks Samantha, love the support from a fellow teacher! Those skills have served me well with my sons, I’m sure they have for you and yours as well. Thanks for reading! Hi it’s Kerry from Someone Special Needs You! I tried emailing you a few days ago but I’m not sure I have the right address. Will you be at the event this Friday? I’d love to see Justin and again! If you could email me at the gmail address you have for me that’d be great! Hi it’s Kerry from Someone Special Needs You! I tried to email you a few days ago but I’m not sure I have the right email addres. Are you going to be at the event Friday? If you could email me back at my gmail account that’d be great! Thanks! Kerry, so sorry you didn’t get my response, I just resent it to every address I have for you. Please let me know that you got it! Hon, check your email again! Hi Gail! What are you looking for? I was very interested in your blog today for AS. I have been urging ATN to get more involved with local communities for yrs and have been unsuccessful. I am thrilled to see you changing the culture at CHOP. This is Katie Wright, my parents founded AS. I had to take my then 2 yr old son to about 5 different hospitals to find competent GI help. I am afraid 1 stop shopping remains elusive in most areas. I would love to hear more about the changes you are making. Thanks Katie, I’m excited too! I will email you! You’re welcome, so glad you liked the piece, thanks for reading! You are very lovely inside and out. 🙂 Blessings. As are you… Enjoyed reading your blog, keep writing! I just read your article o the ”one stop shop” in autism care & did not know if you had an article detailing how you are coordinating this in PA. I live in Colorado & am a parent of a 5yo girl with moderate autism. I work an ATN doctor that we see annually at Childrens Hospital in Denver, but I an other parents I know with ASD kids spend alot of time doing what you did, running in circles trying to find the correct specialists. In Colorado there is only a few places participating in the ATN network & the waitlists are incredible. I went through alot of MDs that misdiagnosed or dismissed my childs autism symptoms. She is doing better now, but with the lack of resources we are encouraged to use the school districts as our main sources of treament. I would love to help putting a system in place in Denver to allow for more centralized treatment to help parents avoid the pitfalls we experienced. Hi Brandy, I just got involved with the parent program a few months ago, so we haven’t begun to tackle coordinating care yet. I will write more when wheels start to turn, and I encourage you to keep in touch here. I always respond to comments. I’m sorry your story sounds so much like mine, it’s just so grueling. Take care, and when we’ve got something in the works it will be written about here! I just stumbled upon your blog and plan to keep reading! You ahve a lot of great material here and I’m sure it is a great resource to many. I wanted to see if you could poin to any good resources on gastro problems for children on ASD. This seems to be a piece to the puzzle we haven’t been able to figure out; they aren’t severe, but definately there and affect behaviour. Thanks so much for what you do and for any advice. Kim, I’ve responded to you via email, let me know if you don’t receive it, thanks! Katie, sent another reply to your email address, hope you get it! Hello, I think you are amazing. I just sat next to your husband on a three hour flight from Philly to Dallas. He spoke in the most glowing terms of you, abd his love gorbyou snd how you fight for your children. Thank you, you are so sweet! My husband is very charming, and how lucky he was to sit next to you! Thanks for reading this and enjoy your trip! I am an educator as well and love your blog. It lifts my spirits to unit with others on special journeys. Thank you so much, I really appreciate your time and commment! Just found your blog, and I can’t WAIT to do some more looking around, it looks perfect. My almost four year old was just diagnosed and we are definitely still in the early stages of figuring this out. I wish you all the best! Make sure you take care of yourself during this difficult time, you will get through it! I’d like to suggest two other blogs to you, Diary of a Mom and Susan Senator, both listed on my blog roll. Thank you so much for reading, I look forward to seeing you here again! Thank you for the blog suggestions. I’ll definitely look! I just wrote a really hard post about an even harder night that I had with my little guy. I actually would love any insight you may have on it, and what I could have done differently. Felt pretty defeated. You’re welcome! I lost half your message, if you have questions don’t hesitate to ask them here. Thanks for reading! I recently published a book and I am hoping that you might consider checking it out. It is a young adult/teen fiction title, I am hoping that it will help promote autism awareness. I will happily provide the link. If you are an amazon prime member, you can also borrow it from the library for free. Thank you for your time and consideration. Sure, send me the link! Hi, I work for a charity in England, which supports disabled children and adults, many of which have autism on some scale. My manager and I are currently working on a website to promote a new service which supports people who have challenging behaviour. It is my role on this website to create the resources area which is a kind of ‘go to’ area where people can access information about different disabilities and different ways of supporting people who have challenging behaviour. I am writing to ask whether I would be able to link this blog to our website. I am also hoping to find other blogs about different disorders and disabilities so that it is all accessible and people can relate to real people, as opposed to reading what medical professionals say. Kylie, of course, that would be fine and it sounds great! You are incredible! So inspiring. I am an Autism Advocate, but I haven’t accomplished a PLAY. Wow! That is so awesome. Thanks so much, and I’m certain you’re awesome too! Thanks for reading! I read your book, snd found your blog. My son is 14 and he is ASD.very functional just not too social. I will read your blog and fallow your sons and your family news. Thanks I appreciate that so much! I feel like we are living the same life! Thank you for writing about it. I always feel I need to start a blog, as much for therapy for me than anything else. Haha. I too am an educator, 7th grade language arts for 21 years, and I also have a son with autism. He is severely affected and such a blessing! We currently are trying to conquer the “will he ever eat anything” mountain and have been for four years. He has just eaten yogurt for four years, but the past three months, thanks to a wonderful therapist, he has started eating real food! It is such a cause for celebration at our house. The Knoxville News Sentinel just did an article that came out today on our son and family. My husband, David Scott, is a local high school basketball coach, and it was about ups and downs in life as in coaching. It made me reflect on how far we’ve come and gave me hope for how far we will go. I have many of the same worries as you. I am also a worrier. I really enjoyed reading your blog on the roller coaster. I teared up a little. Thank you and I look forward to visiting your blog again. Michelle, you and other families are exactly why I write this blog (and it helps keep me sane too, I highly recommend writing to you!) I’m thrilled to hear about your son’s eating real food, what a victory! Over the years I’ve learned to be realistic about some things and to “never say never” to others, it’s helped my outlook considerably. Thanks so much for reading, hope to see you here again and take care! Sorry to bother you. Going for brief here… I was just reviewing your blog and wondering if you might have any advice for me? and I wondered if you had any advice on the community and who might be good to approach to get it noticed? I recognize the spectrum is broad and my book won’t appeal to all but I’m hoping many will enjoy. Anyway, please forgive my intrusion and hope you and your family are well. No intrusion at all! What about approaching different autism organizations, like Autism Speaks, Autism New Jersey, Autism Research Institute? I wish you best of luck and thanks for reading! Thank you! good ideas…will do so! Hi there…my almost 3 year old was just diagnosed. From the assessments I am given the impression that he is “mild” autism case, as his language is close to peers, and he has good social reciprocity and JA. Issues would be more social and pragmatic: not conversational yet, and fearful of kids his age. Hi Julie, for me “mild” entailed extreme impulsivity and lack of focus, both of which have improved greatly since he was diagnosed at two. It sounds as if your son has wonderful skills, that is great! Zach had good language skills, JA and social reciprocity also. Hope that helps! Yes, helps a lot! There is no guarantee that my son is truly mild, or more moderate…but I wanted to understand, as this Mild Autism is elusive thing. So these type of kids would probably look very “undisciplined” in later years…and most people would not understand that it is due to their hyperacivity or lack of social understanding. Just remember your son might not show the hyperactivity at all. I know, it’s so hard to wait and see what happens! Hang in there, and thanks for your kind words. Your feelings will change over time, never let anyone tell you they’re wrong. Remember to take care of yourself as well as your son! I am terrified at what will be coming once entering school. You will probably be amazed at how much he will mature, I was! The inconsistency is tough, I get it! Thank you!!! So kind of you to respond. Wonderful blog!!! Thank you and you’re most welcome! Hi Kimberlee, I would love to connect with you. 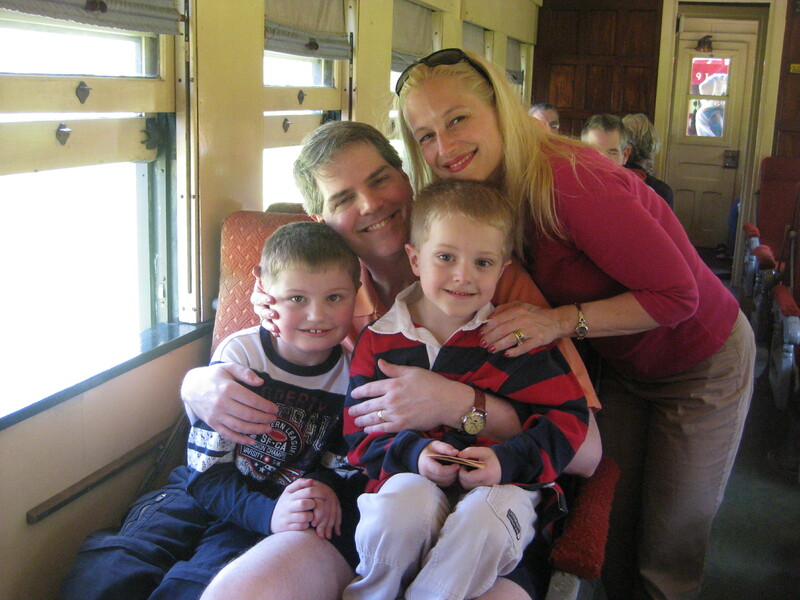 I live in Michigan but do travel planning for families with special needs especially autism. I really enjoyed reading about your trip to Washington DC and the revelation that travel with kids who have special needs is doable. I really struggle communicating that to people and organizations because that was my experience as well with my daughter and in fact it helped her tremendously to travel and now at 8 years old she is a better traveler than I am. I do have special training and expertise in helping families go to many places other do like Disney and manage it much different than if they would have planned it themselves. I would love to get permission from you to use that line in my material and of course would LOVE to help plan that trip to Disney if you have not already take it. My name is Carol Lewis, Magical Trips & Tours, Inc. (248) 701-8944. Please let me know if I can help you and if you have any thoughts on helping me get the word out that parents don’t have to white knuckle it and there are people like me who can actually make it enjoyable for everyone traveling. Thanks Kimberlee. Hey Carol! I am an Autism mommy and a mental health counselor, I would love to hear more about your services…is it just in the Michigan area?! I began brainstorming trip ideas for my son! Would love to hear about your services. No I can do travel planning for anyone and going anywhere. I do seem to do a lot of Disney trips with clients throughout the US because people really want to take their kids there but are overwhelmed with the planning on how to make the trip accommodating for their child while still making it fun for the entire family. How can we connect to see if there are any ideas you might have to get the word out that these services exist? YES! I really see great value in this! As I plan to take my son to Disney one day! My email is Njolona@yahoo.com! Lets connect there and then I can give u other personal contact info! Hope to hear from you soon! Hi Kimberlee, my name is JO! And I found comfort in your post, as I have a 4-year old son, who is on the spectrum. I will complete my Masters in counseling within the next month and I am freaking out as to how to balance a counseling career with the immense needs of my son. I have recently been inspired to help other parents understand the process of advocating for their children on the spectrum as well as providing direction for parents who feel their child may be on the spectrum. The idea of blogging has become frequent. I was intrigued by your beautiful story and wanted to inquire about any pointers or suggestions you may have, as far as being an Autism Mommy and Therapist, and how collaborating the two, helped you become a public speaker and advocate for the Autism population. I hope to hear back from you soon! Thanks for your time! Hello, I just came across your article titled, To the mom in the parking lot. I believe that was the title. My brain is so fried these days that I could be wrong. Anyway, I wanted to say thank you. It made me smile which is not something I do often these days. When I do smile I am not entirely sure that the smile is due to happiness or borderline insanity. You see, I have 5 children, three of them…all boys are autistic. I also have a 1 year old daughter that is showing early signs of autism. My oldest son is 17 and is high functioning. I was told when he was diagnosed that autism was not genetic. So 12 years later when I was remarried autism was not in my mind. So we had my second son and then my third. five months after my last son I was surprised with another pregnancy. About 4 months into that pregnancy I was shocked to find out that my two youngest sons were both autistic. They were diagnosed 30 days apart. So the fear about the baby I was carrying was overwhelming. Not to mention we are military and have the constant deployments to contend with. I am a 19 year Air Force spouse. Right now I feel overwhelmed and scared all the time. My oldest son is a great help even with his challenges. My 5 year old doesn’t hardly speak or maintain eye contact. He is in diapers and doesn’t eat solid foods. I blend his food every 4 days. He is physically abusive to us all and himself. He is mild to severe. My 2 year old is severe. He is on Resperidone because he gave himself a concussion while at ABA. They insisted for him to continue he must have a helmet. His dosage is very low. He is the most violent…especially towards himself. My one year old baby girl is the target for them both most days. I was so relieved when she started walking…because that meant that she could run. Run from her brothers when they attack. I dread my husbands next deployment. Back to why I am writing. Your article gave me hope. I cried so much to know that I am not alone. I have no support system. Most of the parents I have met seem disconnected. To read what you wrote made my day. Today my struggle is that I just watched my one year old daughter bang her head on her window for 15 straight minutes without seeking attention for what she was doing. It cracked my heart a little more. The thought of having a fourth autistic child is overwhelming. My first born has already left the house. She is a normal 19 year old that joined the Air Force. I needed her help desperately, but encouraged her to join. I didn’t want my life to hold her back. I wanted her to have a life without autism. Some days I regret telling her that I will be fine. That her brothers will be fine. But I still think it was the right thing to do. It’s so hard talking to her and telling her that all is well. When the truth is it feels like my head is just being held above the water most days. Thank you so very much for making me feel something other then despair. If you have any good advice on how to get through what feels like the struggle of my life I would appreciate anything I can get. First of all, you are a wonderful mother and your children are very lucky to have you. I am so sorry it’s so hard. If there’s any way you can get some help, even an hour to yourself once or twice a week, take it. Will your five-year-old be in school this fall? My biggest piece of advice is to try to get some time alone, you need a break. My heart broke reading your comment, just know you are not alone. My Justin sounds a lot like your 5 year old when he was that age, now he’s wonderful. Still challenging sometimes, but wonderful. I wish you strength and the knowledge that most of the time as they age, and I’ve seen this with my friends, they get easier. Take care of yourself if you can, wishing you peace! Coping And Social Support For Parents Of Children With Autism is an online peer to peer support network of parents of kids on Autism Spectrum Disorder to have a safe environment to share experiences & ideas, learn new information, share advice and get support from expert and others who have autistic child. We want to ask for permission that can we upload your sucessful articles about your life with your child to our website? We promise that provide credit to the author and your website. Yes, that would be fine, thank you. If you could email me the link when you use my work that would be great. Thanks and take care!